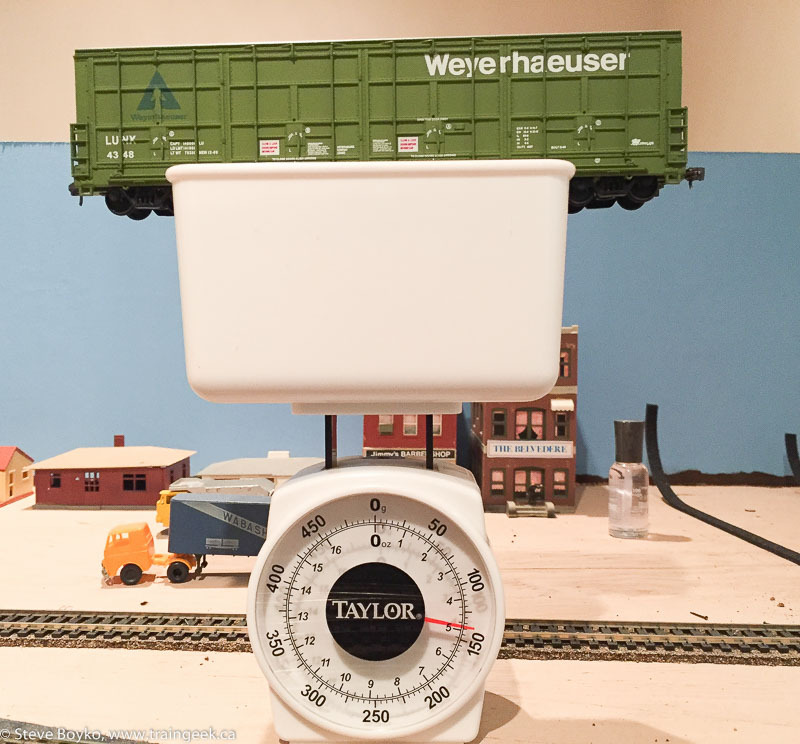 I picked up these two Walthers all-door boxcars at a toy show in Morden, Manitoba. I just had a few steps to go through before they were ready for service. This kind of car was used for paper service and most were owned by paper companies, such as Boise Cascade and Weyerhauser as seen here. 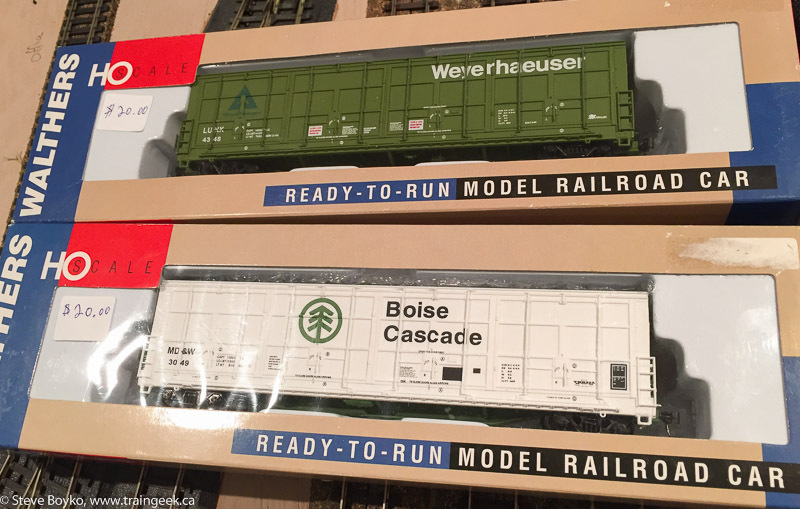 I paid $30 for the pair and I was pleased to have them, as I didn’t have any cars of this type. First it gets put on the test track to check coupler height. That end was good. I flipped the car around to check the other end. This was a FAIL. The coupler was way too low, with the whisker hitting the plate before it could even couple up. It was also obvious that the coupler itself was too low. 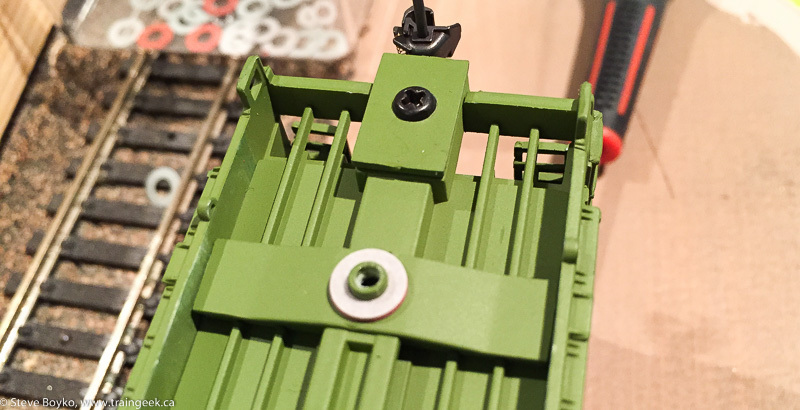 I checked the coupler and there wasn’t much play in the box so the solution was to add some washers between the truck and the car body to raise that end. It ended up taking two washers before I could get the end raised enough. I also snipped off most of the whisker using side cutters. When you raise one end, you have to check the other end again to ensure it didn’t throw that end off! In this case it was OK.
Now it was time to check the weight of the car to see if it matched NMRA standards. 5 ounces was about right for the length of the car, so there was nothing to be done here. 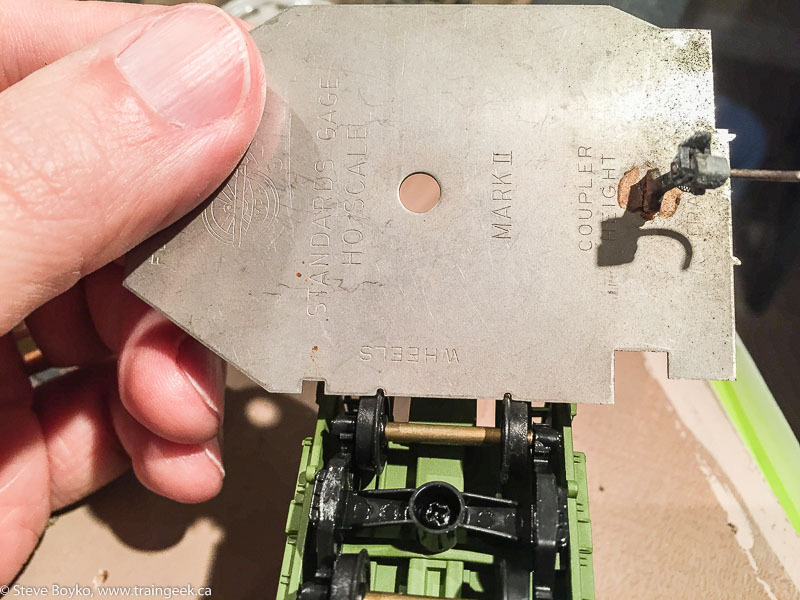 Finally I checked the wheel spacing using an NMRA standards gauge. No problems here! There is rarely a problem with wheel spacing on cars, but if there is, the usual fix is to twist one of the two wheels until the spacing is correct. 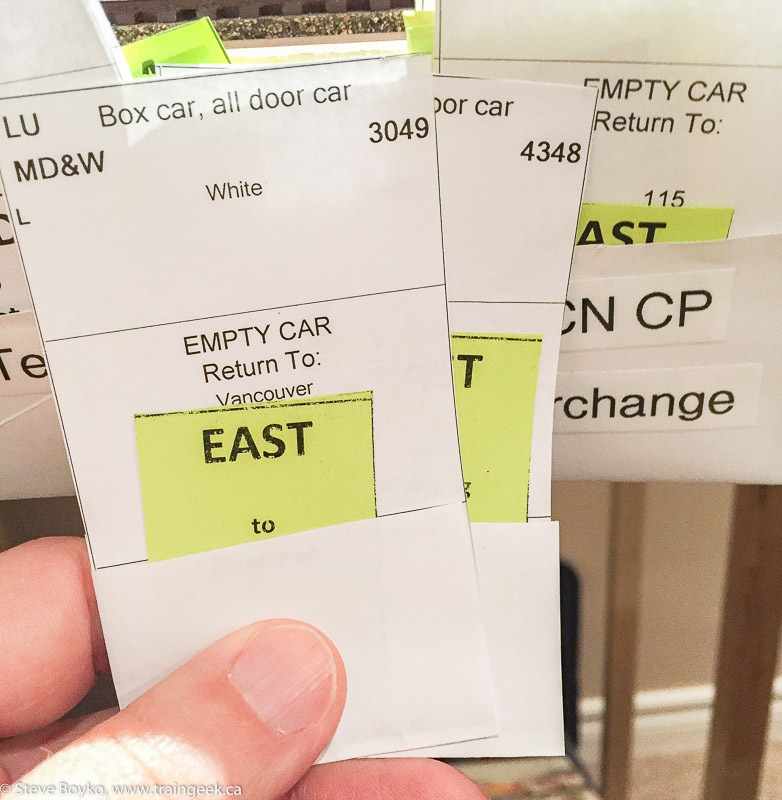 I printed up the car cards in Easy Model Railroad Inventory and stuck some destination cards in the pocket, then put the car cards into the appropriate slot. The last step was to actually put them on the layout, ready for operation. They are on the CN-CP interchange track now and will get picked up by CP 948 on my next operations session.